Malaysian current National Champion - the 15 years old NM Edward Lee (photo right) produced a great game in round 3 of the Kuala Lumpur Open 2008 . He beat Indonesian - Anasrullah in a Breyer Variation of the Ruy Lopez . Analysed by Hairulov and Fritz 11. This move is quite "odd" for a beginner. Doesn't that when we are beginner we being taught that don't move you piece twice in the opening without completing development ? Actually it's a "high class" move played by the top players over the years. It is known as the Breyer Variation. 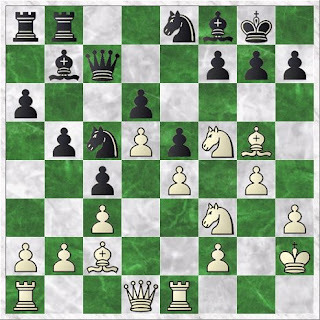 The idea is to protect the e5 pawn with Nbd7 without blocking the thematic c5 push . It also permit black to play Bb7 - putting pressure on the a8-h1 diagonal . 10. d4 Nbd7 11. Nbd2 Bb7 12. Bc2 Black have to delay his main idea Nbd2-f1-g3 and play 12.Bc2 first to protect his e4 pawn. 12...c5 13. Nf1 Qc7 14. d5 c4 15. Ng3 Rfb8 16. Nf5 Bf8 17. g4 Nc5 18. Bg5 Ne8 19. Kh2 !? White plan to move his rook on g1 and later push his king side pawns to break black defense! 19...Bc8 20. Rg1 a5 21. a3 Ra6 22. Bd2 Rab6 22...g6 is an option. 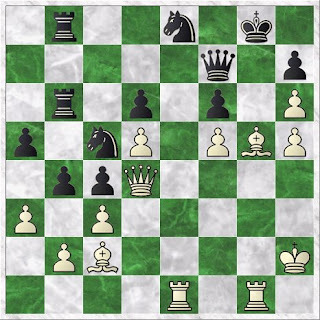 after 23.Nh6+ (If 23.Ng3 Bg7 placing the bishop on the more use full a1-h8 diagonal ) 23...Bxh6 exchanging pieces which is a standard strategy when facing an attack. The idea is to reduce you opponent attacking force. 24.Bxh6 b4 23. h4 Bd7 24. h5 Qc8 25. N3h4 Nc7 ? This knight is more needed on the king side for defensive duty. Probably black underestimated White's attack and choose to proceed with his queen side manoeuvre. 25...g6 is probably better. After 26.Nh6+ Bxh6 white attacking force will be slightly reduce. 26. g5 ! g6 27. Nh6+ Bxh6 28. gxh6 Now white h6 pawn will support white deadly attack ! Qd8 29. Bg5 f6 30. Be3 g5 31. f4! White plan to tear apart black defense ! 31...exf4 32. Bxf4 Qe7 33. Qd4 White queen eyeing for the a1-h8 diagonal and also clear the way for his another rook to join the attack ! 34...Ne8 34. 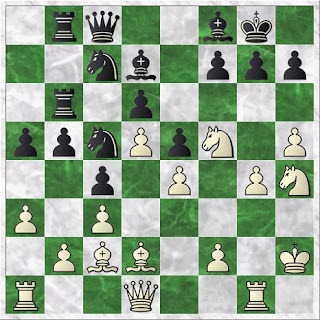 Rae1 b4 Black try to create a counterattack on the queen side but white attack prove faster. Probably 34...Nd3 35. Bxd3 cxd3 slowing white attack is better. 35. Nf5 Bxf5 36. exf5 Qf7 37. Bxg5! "The fruits has ripe. So it's time to eat !" 37...fxg5 38. 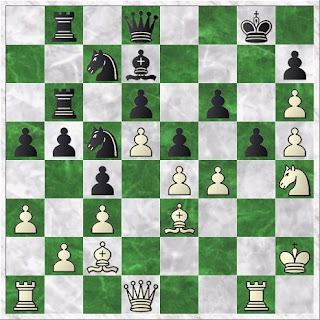 Rxg5+ According to "Mr."Fritz 11 - it's mate in 6! ( maximum) 38...Kf8 Just for the record. Black can prolong the game with 38...Rg6 39.Rxg6! Kf7 40.Rg7+ Kf8 41. 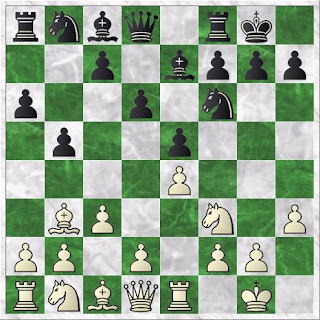 Rh7 ( planning 42.Qh8 ++checkmate) 41...Nf6 42.Qxf6+ Kg8 43.Qf7++ 39. Qh8+ 1-0 A nice attacking game by Edward.